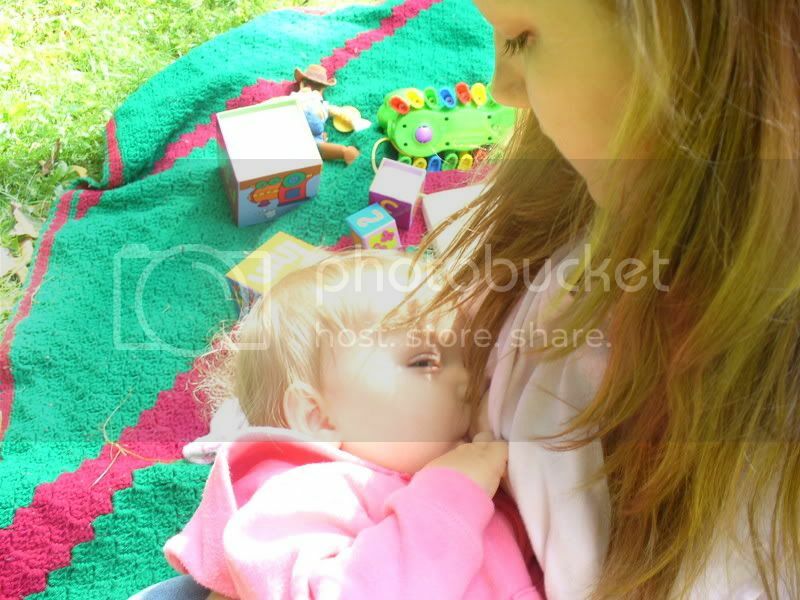 Welcome to the June Carnival of Breastfeeding: Pumping It Up! This month we're bringing you posts on the topic of pumping and hand expression. Be sure to check out the links at the end for some great advice and helpful experiences. When Mikko was a few months old, we were in our naturopathic pediatrician's waiting room, hanging around while she wrapped up some paperwork, when the phone rang. The doctor talked to the person on the line, looked over at us, and said, "Well, I have a new mother right here -- maybe she could help you out." I whipped my head toward her. Huh? Me? The woman on the phone was the mother of an adopted little girl, a month or two older than my son, and she was calling around to anyplace she could think of, seeking donors of breastmilk for her baby. The pediatrician gave me the woman's name and number and asked permission to give her my contact information as well. Somewhat hesitantly, I agreed. And then I proceeded to ignore the mother's calls for awhile, letting them all go to voice mail while I vacillated. I felt overwhelmed with parenting. I felt like I had just gotten breastfeeding down after a rocky start. I felt like I was just now having a hand free every once in awhile, and pumping would take that away again. But, finally, I contacted the woman and asked her all my questions about pumping and donating breastmilk, and she asked me all hers. Her questions for me were along the lines of health and hygiene, to determine if I would make an appropriate donor. When you're dealing with volunteer strangers, you have to be cautious. I felt a little defensive and nervous, as if applying for a job interview -- I wasn't even sure I wanted this position, but I sure didn't want to be rejected! I emailed select pictures of Mikko and me in breastfeeding position to prove my basic ability, affirmed his good size but countered any fears that my milk could grow only giants and mentioned proactively that none of us had any health problems. I even proffered offhandedly that I had passed an HIV test. I did the job-interview tactic of bringing up a negative that serves to highlight your positives -- I said I had been slightly anemic during pregnancy but that was it, and that now I was completely hale once more. I hedged on the status of my current diet, saying that I had been vegetarian but had to add meat in again for the anemia, downplaying the fact that as a new mother, I grazed on whatever was to hand, nutrition be blasted. My questions for her were all along the lines of how this new task would inconvenience me. I know, I don't sound so noble in this story -- that's how I roll. I mused whether my Avent Isis hand pump would be up for the job, because I didn't want to rent or buy anything fancier (it was up to me, she said, but she could finance only the storage bags). I wondered if I'd have to make the long drive myself to drop off the milk (no, she'd come to me). I questioned how much time it would take me to pump, and how much she was relying on me. Working from home and having no desire to train Mikko to take expressed milk, I had no call to pump for my own needs. Fortunately, she reassured me that she was collecting from a number of donors, including some from out of state who shipped to her, and she supplemented with formula as needed. She was just that committed to having the right food for her daughter. Being a confirmed breastfeeding advocate myself, I couldn't help but admire her efforts to gather a workforce of pumping mamas as long-distance wet nurses. So, ambivalent, I began pumping. I reread a number of online product reviews and then reluctantly removed the plastic wrapping on my Avent Isis box, sighing over the fact that it could no longer be returned if I decided I wanted a different model. I was so pleasantly surprised with the performance of the Avent Isis, though, that I immediately fired off an email to the mother to share the news. "I like my pump after all!" She wrote back something like, "OK, that's nice." But I was excited that it seemed to pump as well as the electric one I'd rented just after the birth, and didn't hurt my hand as I'd feared -- I was imagining it would be as hard to push the lever as one of those hand-exercisers, but it took very little pressure. I started off with five minutes on a side, twice a day. Barely an ounce came out for several days, even though I was still leaking through breast pads, nursing bra, and two shirt layers on any given day when my milk let down. Within a week, though, I was pumping 3-5 ounces in a ten-minute session, which seemed sufficient for my purposes. I didn't want to overengorge myself if I stopped pumping for a trip (which we were about to take) or if anyone in my family became sick, per her request. I thought it was a little strange of a condition, since breastmilk, if the equipment and storage containers are properly sanitary, will just have more antibodies if the mother's fighting off a bug, but I followed her instructions. As it turned out, it limited my ability to pump and donate for her throughout the winter, because after our big trip, we all got sick on the plane ride home, and then my husband fought off a virus for awhile after that. As soon as one of us healed from one minor illness, it seemed another was just around the corner. Still, I was able to gather enough milk to make a couple collective donations, and the mother emailed me pictures of her darling, rosy-cheeked girl, strong on the same milk that's making my boy grow so well. If you're thinking of donating extra breastmilk or pumping specifically to offer the liquid white gold to a mama and baby in need, here are some points to consider, all within my own perspective as a demonstrably selfish person. Downsides to pumping to donate are increased milk leakage, spending your time while the baby sleeps pumping instead of goofing off playing computer games, finding private places to pump if you have family or friends over or the blinds open, washing and sterilizing pump parts after every go, and feeling like it's all a little pointless since you're not using the milk yourself and you're not getting paid for your time and effort. If you use a manual pump, you'll find it difficult to manage any other task while pumping, except watching TV. That might or might not be a benefit in your book. Upsides to pumping to donate are pretty obvious. You know that a baby or babies in need are getting the precious milk they deserve. You can donate to an organization like The Human Milk Banking Association of North America, or you can look for a private recipient, possibly through a website like MilkShare or by putting the word out to midwives and pediatricians that you're available as a donor. Generally, recipients like the donor's baby to be about the same age as theirs so that the constitution of the milk will be developmentally appropriate. The benefits of private donation are that the milk isn't treated, whereby it can lose some of its beneficial properties. The risks of private donation are that the reicipients don't usually know the donors -- their health status or history or environment. You can ask questions, but you have to trust that you're getting the true answers. The same can be said in reverse -- the donor has to trust that the milk is going to a mother with a baby, not for some shadier purpose, if that's an issue for you. I do sometimes wonder why there aren't resources for selling milk. Some milk banks operate as nonprofits, but others sell the milk they receive. If the company can sell the milk, why can't the donors be reimbursed for providing it? But I do understand why an adoptive mother would find buying milk from a milk bank difficult to impossible. Usually banked milk is reserved for premature or otherwise compromised infants, and it's very expensive, at about $3 an ounce. If an adoptive mother wants to supplement her healthy child with breastmilk, using volunteer donors is the way to go. I think for the donors, the easiest thing would be women who pump for their own needs but have extra left over. Fortunately, I got into the rhythm of pumping and enjoyed seeing the thin bluish-tinged liquid filling up bag after bag, then hardening to white bricks in the freezer. After while, though, the shine on my altruisum began to wear off. As it turned out, despite some pleasant emails and an invitation to a party, I didn't feel overly connected to the family on the receiving end of my milk. It felt more like a secret transaction -- "Leave the cooler on the porch, and don't ask any questions." The mother actually didn't enjoy the long drive out to get the milk, so we had to rope my sister-in-law into acting as a middleman, a role she wasn't enthused about, since she rightly saw that it was inconveniencing everyone involved. 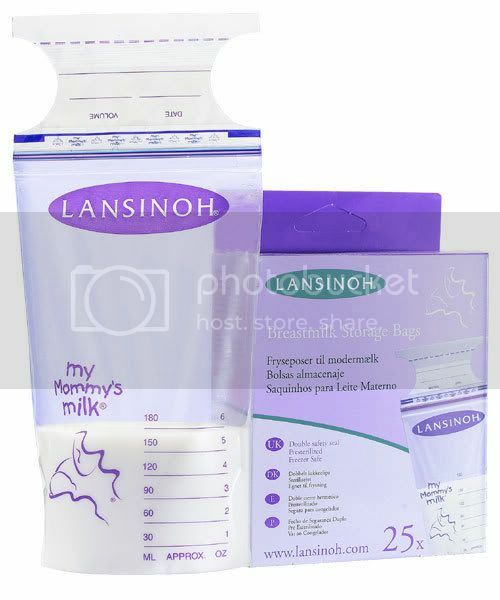 I never did get paid back for those freezer bags, either, so I was out a bulk supply of Lansinoh bags (I found it strange to hand over bags imprinted with "My Mommy's Milk"), a hand pump, and my time in the deal. As the year-old mark passed for my donor baby, I let my pumping time lapse and decided not to feel guilty about it. I had helped out in that crucial first year, and I wanted my life to be a little easier. I wanted to have an occasional glass of wine without worrying that it would throw off my pumping schedule. (I didn't think the recipient would appreciate bags labeled "Booze-enhanced.") I wanted to just breastfeed and not feel like, with all this pumping, I should really teach Mikko to use a cup or bottle so I could "get away" from him once in awhile, as well-meaning relatives were suggesting. 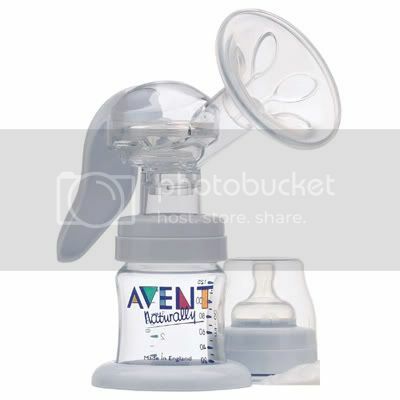 I wanted to feel free to be a dingy breastfeeding mama, unconcerned with sterlizing my hands and the pump parts. I wanted to put my trusty Isis up on the high shelf and just try to survive life as a work-at-home mother with a zany babe. Still and all, it felt like it was a good thing. I was part of a long line of women sharing the burden and joy of feeding other mothers' or motherless young. So, if you're up for the job and have any milk at all extra, if you're healthy and not averse to proving your worth as a donor, it can't hurt to give donating a try. Hopefully you'll feel a little more charitable than I did! Great story and info, thanks! "For at least 12 months..."